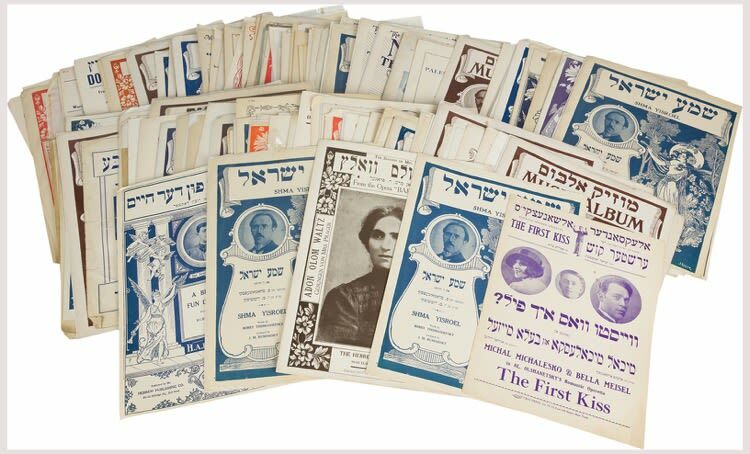 Large collection of c. 197 Jewish/Yiddish-related sheet music. Mostly American. Includes approx. 20 duplicates. Original pictorial wrappers, some wear, few torn. All sm. folio. New York (handful London and Warsaw): 20th-century.